The new Skills Learning Center is a proactive intervention that helps students learn to get their needs met in appropriate ways. It is a calm, controlled environment where students can practice and learn sensory and emotional regulation skills while developing a safe relationship with an attuned adult who is able to guide them through the learning process. An $80,000 grant from CareOregon launched a groundbreaking effort in Gladstone Schools, supporting elementary students who suffered traumatic events in early childhood. The goal is improving children’s long-term health and academic success. A Kaiser Permanente study in 1995-97 revealed that individuals who faced Adverse Childhood Experiences (ACEs) such as abuse, domestic violence, loss of a parent, or living with a substance abuser have dramatically increased life-long risks from health issues, addiction, and depression. Wendy Wilson, principal of John Wetten Elementary, has been studying education and counseling strategies to help students coping with ACEs. She understands that students who have had highly stressful experiences in their lives may also have difficulty succeeding academically. 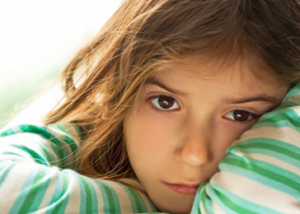 Research has shown that constant stress impacts brain development in young children. Staff training is an essential component of the program, as the school works to build teacher awareness of the reasons behind children’s behavior, and to learn trauma-sensitive, strengths-based approaches and routines to help children cope. The past two years, John Wetten students made huge gains in English Language Arts. In last year’s state tests, Gladstone fifth graders beat the state average by 5.3 percent, fourth graders by 11.4 percent, and third graders by 13.3 percent. Wetten is a model for Response to Intervention, a strategy for early identification and support of students with learning or behavior needs. After universal screening, children receive interventions at increasing levels of intensity to accelerate learning. The school’s Culture of Care approach trains staff to use calming strategies that make classrooms a productive learning environment. The trauma-informed approach has payoffs not just in improved health and reduced stress, but also in academic achievement. Gladstone’s sixth grade math students also exceeded the state average, with state test scores up over 12 percent from the previous year.